Why Choose the Dental Assistant Program? Dental assistants are a key part of a team that can make a positive impact in the lives of patients and their overall health. It is a field of constant innovation, with new technologies and techniques helping promote better health and strategies. Employees value hands-on experience, reliability and a positive personality to match the social dynamic of the workplace, and CPTC's Dental Assistant program promotes all of those. Our program is accredited by the Commission on Dental Accreditation, and our student test scores on all three parts of the Dental Assistant National Board exams are consistently higher than other schools in the state and nationally. Further, the Dental Assistant Degree typically takes just five quarters to complete - you can get a great education and get ready for a great career in just over a year! Employers are looking for professional dental assistants that have great soft skills as well as technical skills. Graduates may find employment as dental assistants. In Washington, median pay for dental assistants is $40,100 per year. Communicate effectively, verbally and in writing with team members and patients including confidentiality in compliance with HIPAA regulations. Select appropriate instruments, materials, and equipment for various dental procedures. Maintain aseptic technique and apply maintenance of infection control pre-operatively, during patient care, and post-operatively according to OSHA regulations. Anticipate the dentist’s needs based on the procedure being performed. Correctly identify facial landmarks and dental anatomy. Utilize critical thinking in evaluating information, making decisions and completing projects. Maintain conduct in a manner appropriate with dental standards in compliance with state and federal law. Multitask and demonstrate flexibility as it pertains to changes in daily routines and scheduled procedures. Prioritize and organize work assignments. Demonstrate effective time management skills. Obtain employment in the dental field or pursue advanced education. Successfully complete all three components of the Dental Assistant National Board exam to become a Certified Dental Assistant. Roberta Wirth graduated from CPTC’s Dental Assistant program in 1983 and worked in pediatric and general dentistry for seven years in Tacoma. She’s been teaching at CPTC as a full-time instructor since 1990. She has an MS from Liberty University in Human Services with an emphasis on Executive Leadership. Hannah Precour graduated from CPTC in 2010 as a Certified and Registered Dental Assistant with a Dental Assisting Degree in Applied Technology. Hannah worked in an Endodontic Specialty office and a general dentist office for five years. Hannah also holds a BS in Human Resources Management. Dental Assistant Program Information Sessions are hosted in Building 17, Room 107, at 3 p.m. on the second and fourth Wednesdays of the month. For more information and a complete schedule of session dates, click here. 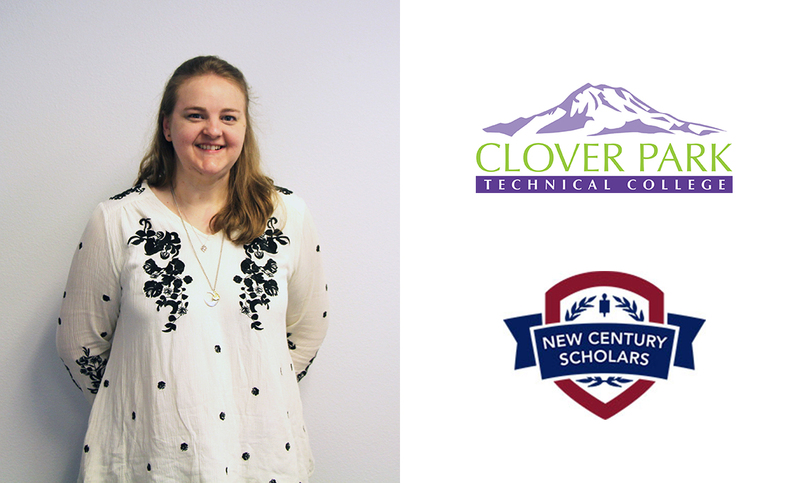 Since first coming to campus at Clover Park Technical College, Alexandra Haley has been a key member of the student community in both Associated Student Government and the Dental Assistant program. Her hard work has led to several honors, and the biggest came as she completed the program last month when she was selected as a 2019 New Century Workforce Pathway Scholar. 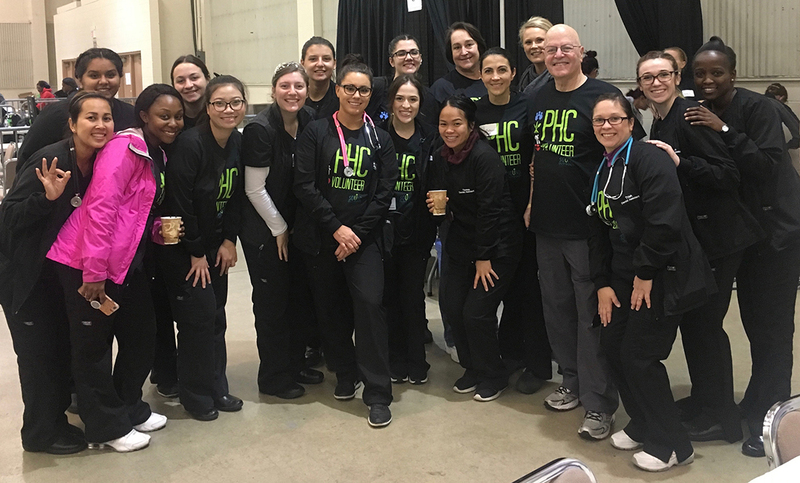 Students in Clover Park Technical College’s Dental Assistant program recently had the opportunity to put some of their training to use while serving in the community, as the program’s third-quarter students volunteered at Project Homeless Connect. 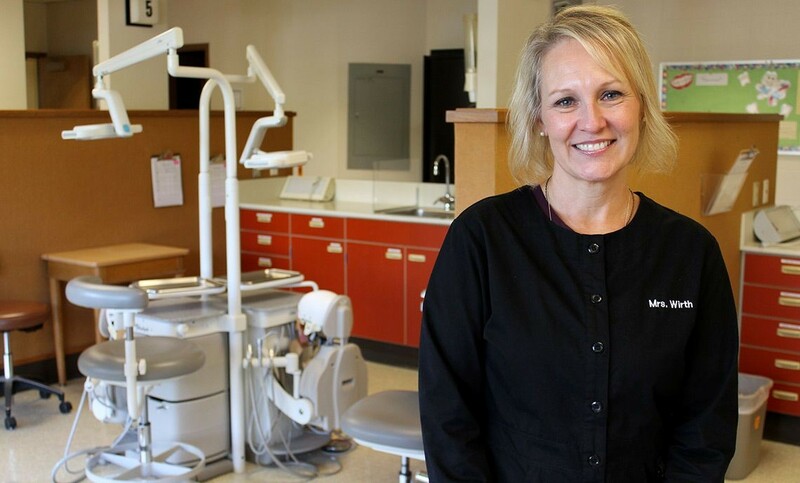 In her 25 years as a Dental Assistant instructor at Clover Park Technical College, Roberta Wirth doesn’t remember ever having to confirm her attendance the night before a college event. It seemed strange to Wirth when she received a phone call from the CPTC Foundation Office on the evening of Sept. 17, making sure she was planning to attend Opening Day the following day.